Laid down, 13 April 1943, at Jeffersonville Boat and Machine Co., Jeffersonville, IN. Final Disposition, sold for scrapping, 20 April 1948, to Bethlehem Steel Co., Seattle, WA. 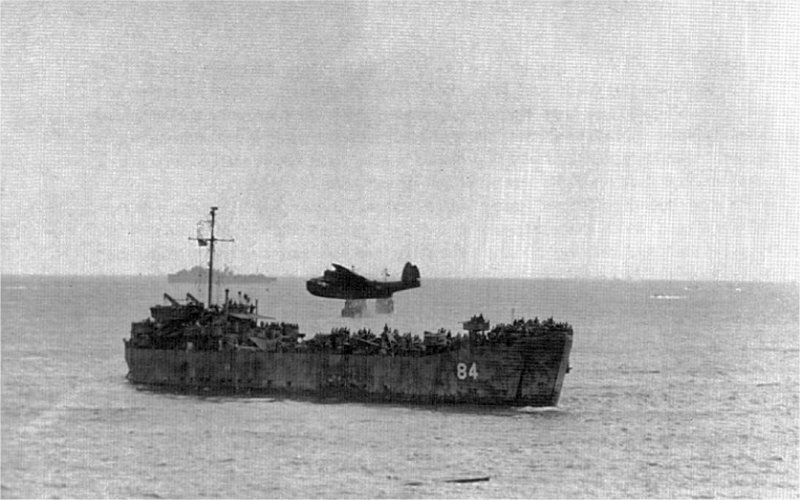 76k A Martin PBM-1 Mariner flies over USS LST-84 in early June 1944. Her deck is crowded with war material for the invasion of Saipan.